Bank on the Market!!! Contract fell through! Hidden Treasure! 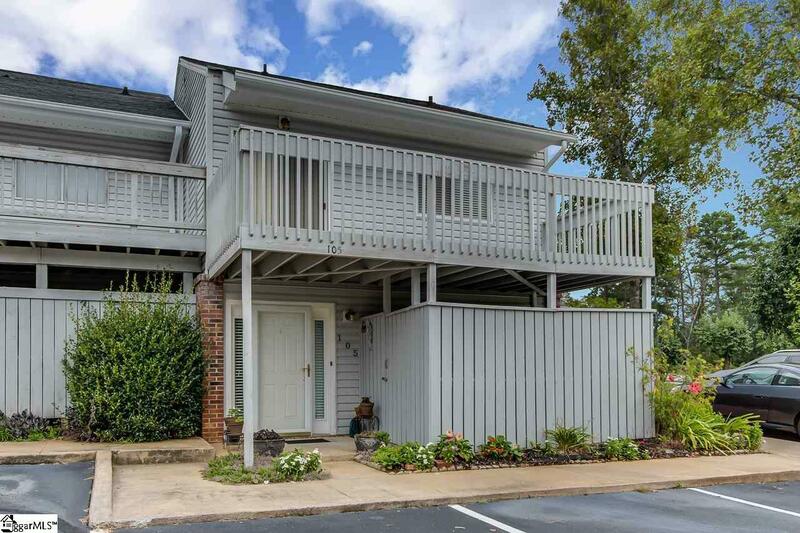 Rare opportunity to own a townhouse in Harbor Town on Saluda Lake! End unit has 2 bedrooms, 2 full baths as you enter main floor. Master bedroom features master bath, dual closets and a Full Master Bath. Laundry is stackable closet style. Upstairs you will find open floor plan with lots of light, living room that looks out over back deck, dining area, kitchen with lots of counter space, closet pantry, breakfast nook that looks out to front deck and 1/2 bath. Either deck would be great for grilling or sitting. Carpet thru out has been cleaned. Roof 2007 30yr, HVAC 2011, Water Heater 2002, Garage disposal 2018, New sliding patio doors 2017. This community has MANY GREAT amenities include a clubhouse, cabana equipped with grills, Full kitchen and bathrooms, Olympic sized swimming pool and tennis court ALL overlooking the lake! Dock space included along with access to one of only 3 boat landings on the unrestricted Saluda Lake, enjoy boating, kayaking, and great fishing in this river fed lake. Harbor Town is located less than 5 miles from downtown.